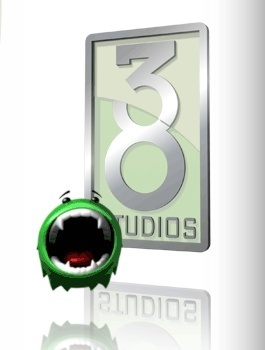 Two separate auctions will liquidate 38 Studios' remaining assets, but Microsoft wants its stuff back first. It feels rather like eyeballing the silverware at a funeral, but it's hard not to let out a quiet, impressed whistle over the sheer volume of quality stuff up for grabs at the upcoming 38 Studios liquidation auctions. There will be two separate events, one on October 16 in Maryland and one on October 23 in Rhode Island, and if you happen to be in either neighborhood on the appointed date, you might want to consider popping in. Among the highlights are more than 500 (between the two) high-end Dell workstations, 850 20" and 24" Dell and Sceptre monitors, numerous Wacom tablets, Genelec, Furman and Logitech audio equipment, various overhead projectors and video conferencing systems, six - six! - LG model LFC25776ST Stainless Steel Refrigerators with bottom freezer drawer and a ton of other stuff. Suddenly I'm starting to understand where all the money went. Also on the block are several game consoles, including Xbox 360 XDK systems, the game development kits studios use to actually make their games. But Microsoft, quite understandably, doesn't want those things floating around in public, so it's demanding their return. "Xbox 360 Development Kits (XDK) are the property of Microsoft and are only licensed to authorized studios and may not be assigned or sold to any third party without the written consent of Microsoft," a rep told Develop. "We will be contacting the appropriate parties involved in the auction of 38 Studios' assets to remove the XDK units from the auction listing and to secure the return of the consoles to Microsoft." Despite the veritable cornucopia of crapola awaiting purchase, the money raised won't do much to help the state of Rhode Island, which could be on the hook for more than $100 million as a result of 38 Studio's disastrous collapse. Rhode Island Governor Lincoln Chafee recently referred to the situation as "an economic development crisis."